I was pleasantly surprised the other day to find my review of Moll Flanders by Daniel Defoe linked on Bookzilla’s website for the Pay It Sideways Challenge from What She Read. It is such a wonderful idea! 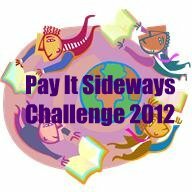 It encourages people to read books they wouldn’t normally try, hopefully opening their lives up to new authors and genres. Also, it is a lovely way to show appreciation to fellow book bloggers and spread the bookish love! I have opted to go for the interesting challenge of choosing six books I wouldn’t normally read and six that I would. All the books below have been chosen because of fabulous and intriguing reviews. Who knows, maybe you will find something different to read too! As I go along, I will link my own reviews, so you can see how I got on. I don’t normally read short stories but have made an effort over the last few months to read more. I have been pleasantly surprised with some and found others quite forgettable. I haven’t read anything by Neil Gaiman yet and after reading this review at Books Without Any Pictures, I suddenly felt the urge to buy it! I’m actually really looking forward to it – especially the short story about Susan from The Chronicles of Narnia. 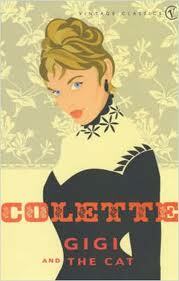 Bluntsbookblog said this was not only the best book she read in 2011 but the best book she had ever read! Well that got my attention, so I scrolled down to see what she had to say about it. She didn’t write a full review, but did say enough to make me want to know more. 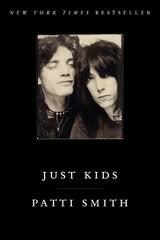 I don’t know much about Patti Smith, so I probably never would have picked this up if it hadn’t been for this post. I have to admit, it’s probably the title that mostly puts me off the book. I don’t mind coming-of-age books, but I didn’t think this one sounded particularly special, but this review at Trees and Ink made me want to read it! 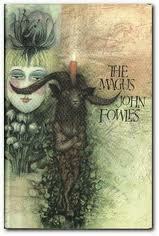 I am interested in the hints of magic that are incorporated into the storyline. As Savidge Reads says in this review, sometimes you buy books because you feel you ought to. A couple of years ago I looked up all the Booker Prize winners and I suppose I felt a pull towards Moon Tiger because it won in 1987 – My year of birth! That’s a very sillyreason to buy a book. Maybe that is part of the reason I have never been able to get into it. It’s remained on my To Read pile since I put it down. Savidge Reads made me want to give it another go – hopefully this time I’ll be able to stick with it! I wasn’t sure what this book was about. Somehow the fact that it was a book at all passed me by and I was only aware that it was a soppy looking film starring Keira Knightley. (NOTE: it’s now June and I have watched the trailer – the film doesn’t look too bad and also doesn’t star Keira Knightley – I think I must have been confusing this with another film!) When I found out this was an adaptation, I had no real interest in the book or the film. But Lit Addicted Brit changed my mind with this review! The storyline sounds unique and interesting, I just hope David Nicholls can really pull it off! I’m not sure why, but I don’t have a good feeling about this book. Maybe it’s the Shakespeare reference (I love the Weird Sisters in Macbeth!) or the cover – I’m just not sure. This review over at Reading With Tea has made me want to give it a go. 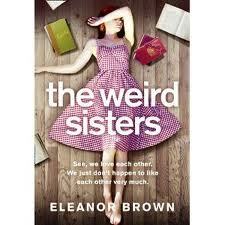 It sounds as though there might be more to The Weird Sisters than meets the eye. I know it’s another book of short stories and I say I don’t often read them, but The Summer Book sounds like something I’ll really enjoy. I can’t wait to read it after this review from Iris On Books. Stories about a girl and the bond she shares with her grandmother while they are on an island – It sounds truly wonderful! Maybe I’ll leave it until the weather is a bit better though, to get me in the mood for summer! When I read Book Snob’s review of this book, I knew I had to have it! I ordered it immediately from Amazon and it has been waiting patiently in my To Read pile. I enjoy knitting and have been looking for something like this for a while. It is a lovely little book filled with short tales, beautiful illustrations, knitting patterns and even some recipes! I can’t wait to try them out! Well I am a huge cat lover and I’m always on the look out for books about cats. I haven’t read a good one for a while so this review from Literary Relish has got me very excited – it looks like I will fall in love with the second short story in this collection even if the first one doesn’t get a great response from Literary Relish. Also, it’s set in Paris! Can you get any better? I have always vaguely had this in the back of my mind as I book that I should read, but after reading this post by The Book Whisperer, I realised that I should buy a copy and put it further up my To Read list. So that is what I did. I hope, as it did with The Book Whisperer, that it blows me away! It sounds dark and mysterious and surreal – I’m very excited about this one! I had never actually heard of this book when I read this review on The Afterword, despite it having won the 2011 Man Booker Prize. It sounds like the sort of thing I will enjoy. I imagine it might be a bit depressing, but the word ‘thoughtful’ was used a couple of times and I’m hoping the book will have a similar feel to The End of the Affair by Graham Greene. I’ve heard a lot of things about this book – some good and some bad. But finally, after reading this review at Top Floor Corner, I have decided to read it! I’m expecting magic, mystery and beauty – It sounds utterly wonderful! What reviews from last year have persuaded you to go out and buy the book? Show your appreciation and let the blogger know! Thanks! 🙂 I’m really surprised that I haven’t already read anything by Neil Gaiman, he is very popular! Thanks for the mention 🙂 ! It was an effort for me to start Moon Tiger (got it from the library just in case I was really disappointed) but I was glad I persevered in the end because the last quarter of the book in particular is really quite poignant and beautiful. Going to attempt a review very soon! Awww, thank you so much! I am very honoured and don’t know what to say! 🙂 I’m going to enjoy a couple of hours of reading through all my favourite blogs to decide on the final five! PS. Looking forward to your Moon Tiger review! Thank you for including A Knitter’s Home Companion on your list. I’m so happy you’re joining the challenge! I’ve got The Sugar Queen on my list too — here’s hoping we both love it. Can’t wait to see how you get on with the challenge. Yeah, you don’t want to ruin the book for yourself! The trailer didn’t really look like my sort of thing, but hoping the book will be! I have Gigi and The Cat at home too – I am also a huge cat lover and I go to Paris next month; what better excuse do I need to read it? You’re an ’87 baby too?? We must be best book friends. I would also recommend Moon Tiger but read it in one sitting without background disturbance. 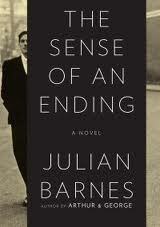 Sense of an Ending is proving impossible to review but I would recommend it – definitely thoughtful, contemplative, and surprising. The narrator annoyed me though. And you should definitely read One Day. Both OD and Weird Sisters are a bit love/hate, but I hope you will love both of them! I also hope I will love them both! I supposed you can’t love all books, but I can certainly try! I am waiting eagerly to get my hands on The Sense of an Ending too 🙂 Will read it as soon as possible. I’m particularly looking forward to that one! 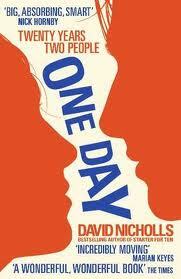 Someone gave me a copy of One Day a couple of weeks ago. I haven’t read it yet. I hope you enjoy it! The plot sounds like it could be really good if it’s done well.